Sudan's President Omar al-Bashir has been ousted and arrested by the military after nearly 30 years in power. 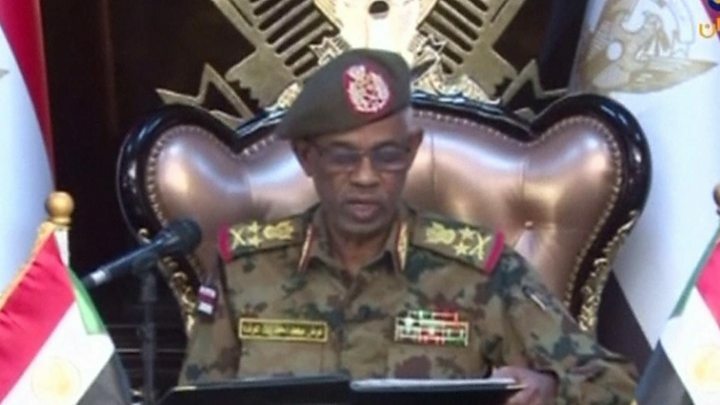 Speaking on state TV, defence minister Awad Ibn Auf said the army would oversee a two-year transitional period followed by elections. The protesters are now demanding a civilian council to lead the transition rather than a military one, correspondents say. "I announce as minister of defence the toppling of the regime and detaining its chief in a secure place," Mr Ibn Auf said in a statement. State TV and radio later interrupted programming to say the army would be making a statement. 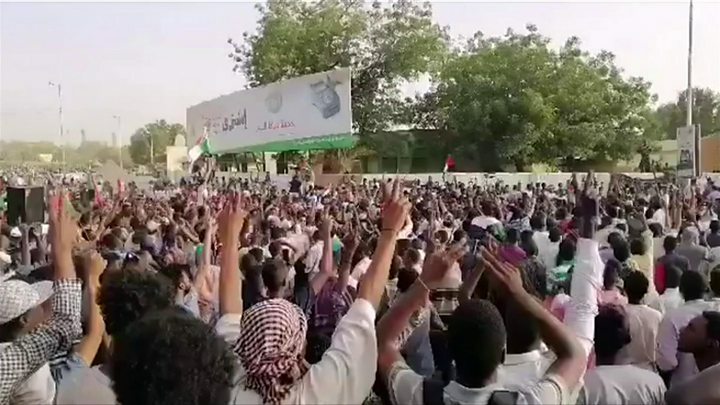 Meanwhile, tens of thousands of demonstrators marched through central Khartoum, some chanting: "It has fallen, we won." 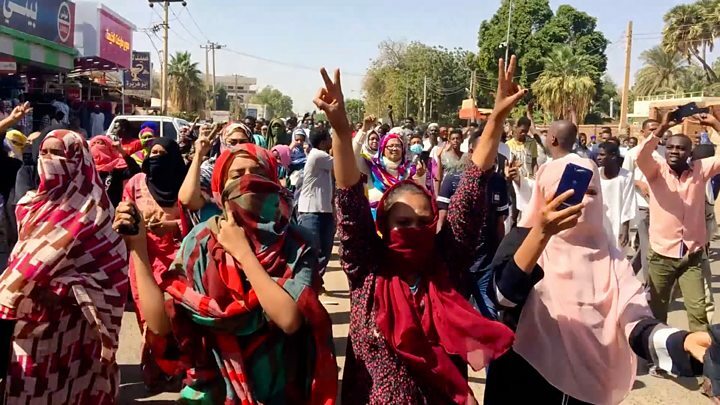 It urged people to continue the sit-in outside military headquarters and to stay on the streets of cities across the country. UN Secretary-General Antonio Guterres appealed for "calm and utmost restraint by all" and urged a transition that would meet the "democratic aspirations" of the people. Presidential spokesman Dmitry Peskov expressed hope that bilateral ties would not be damaged, whoever was in power. In a statement, he also said that justice was "long overdue" for Mr Bashir.